The early bird gets the worm, but the late shopper gets great gifts. ALERT! ALERT! You're actually reading the *2017* version of this gift guide, so things are bound to be out of stock. Not helpful. Not helpful at all. Check out this year's version RIGHT HERE! 1. Fishnet socks to give someone you consider a real ~catch~. 2. 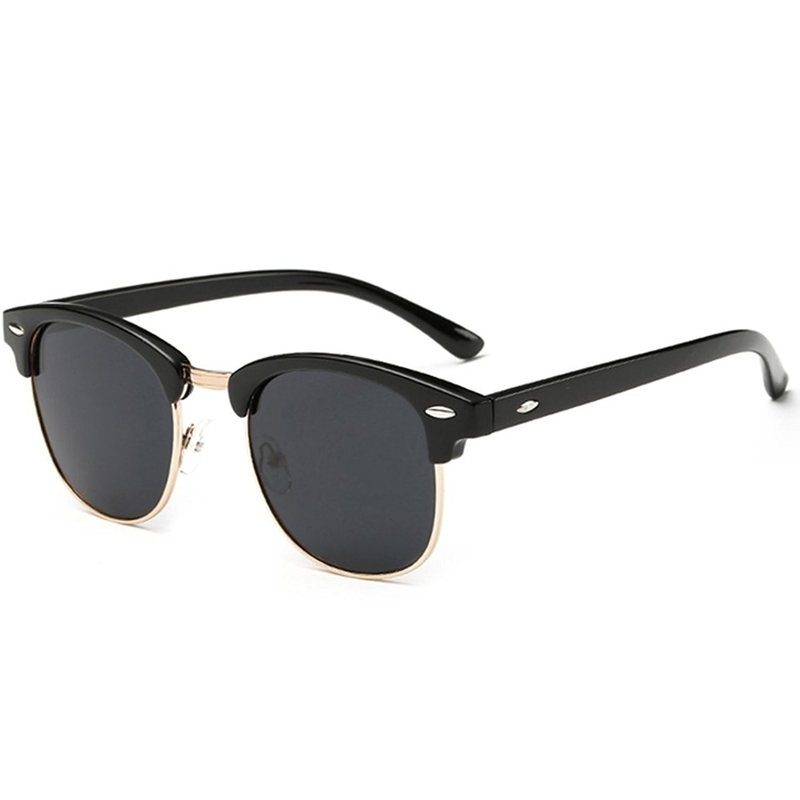 A pair of classic wayfarer sunglasses that look good on pretty much everyone. 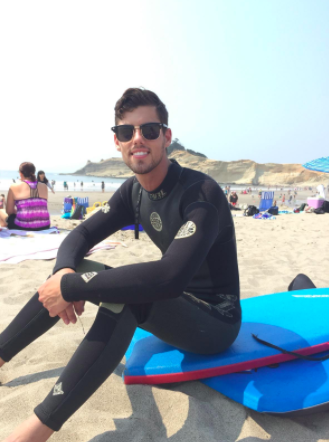 Promising review: "I get compliments on these glasses wherever I go! They're lightweight but feel sturdy, and have a really cool design. I'm glad they came with a case to protect them from scratches when I'm not wearing them." —Madelynn C.
3. Vibrant agate bookends so they can really show off how much their book collection rocks. 4. 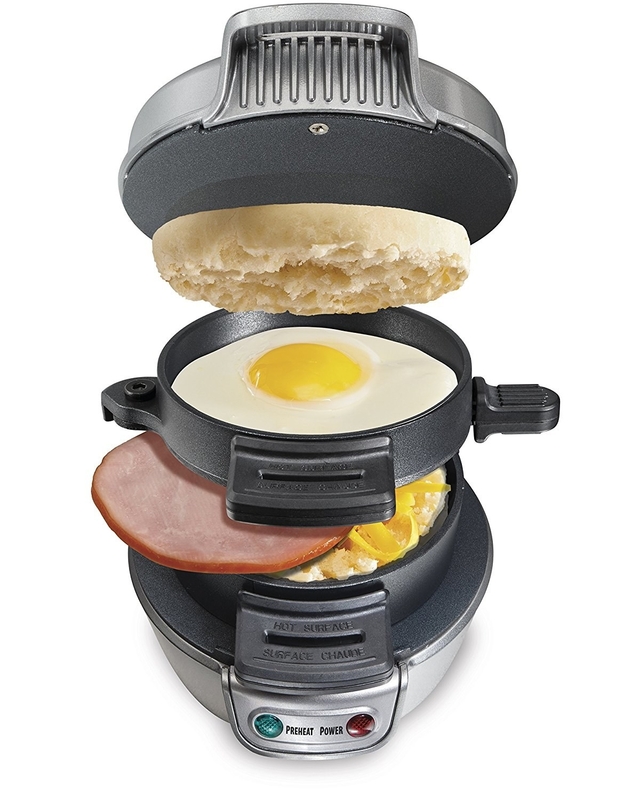 A lifesaving device capable of cooking all the ingredients of a breakfast sandwich at once so they can stop makes visits to McDonald's. It makes a sandwich in under five minutes! 5. 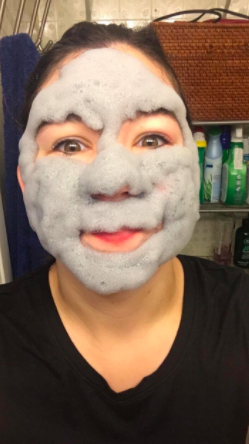 A carbonated bubble clay mask that will lead to them sending you some really silly selfies. 6. A giant box of snacks for the grazer in your life. 7. A box of bath bombs to give to anyone who needs some chill time. There are 12 scents: angel, black raspberry vanilla, fun in the shower, fun on the beach, kiwi and strawberry, lavender, lemongrass green tea, love, mango papaya, melon ball, shea and coconut, and Victorian rose. 8. And a bath shelf so they can really stay in the bath for a while. There's plenty of room for an iPad, phone, book, scented candle, snacks, or even a glass of champagne. 9. Pizza slippers for a kind of cheesy gift anyone would knead. Warning: The medium size won't arrive in time for Christmas. 10. A scented candle (from BuzzFeed's Product Labs) inspired by their home state. The all natural soy candle was made in the USA and burns for 60–80 hours. There's one candle for every state with a scent inspired by the region. 11. A striped tote anyone would be happy to lug around. 12. A decorative box with 10 leaf-topped pyramid tea bags. There are two of each blend: rum raisin biscotti, sweet orange spice, winter chai, spiced ginger plum, and harvest apple spice. 13. An electric razor that promises as close of a shave as the time you left for holiday shopping. Promising review: "This is the best electric razor I have ever used. It's a very fast, smooth shave. I'd recommend it to anyone!" —Katina D.
14. An Anker power bank so they'll finally stop asking to use your charger. 15. An intense grill set that might actually be a gift for you if you love being invited to barbecues. 16. A five-pound bag of gummy bears to give the gift of a sugar coma. 17. A handy device that turns frozen fruit into "nice cream" so they don't have to sacrifice their sweet tooth on their journey to better health. 18. 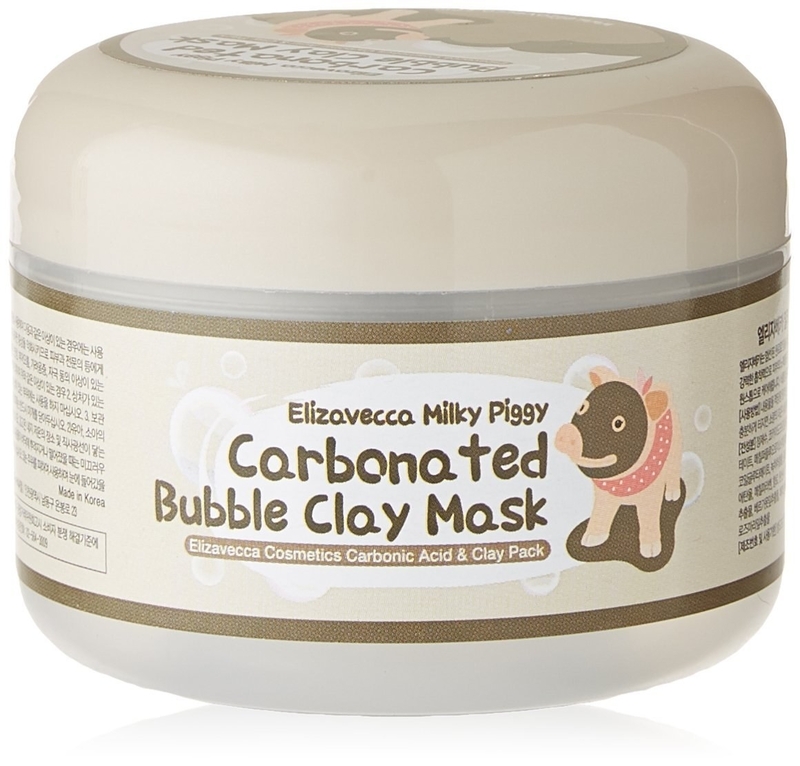 Unusual face masks so they can have fun while taking care of their skin. It comes with four lace sheets and four thin sheets designed for maximum absorption. 19. A gorgeous coffee table book filled with beaches from the all over the world. 20. An optimistic umbrella that lets them enjoy a nice blue sky, even when it's raining out. 21. A coffee table book chock-full of PUPPIES! It comes from Elias Weiss Friedman of The Dogist, so you know it's good. 22. 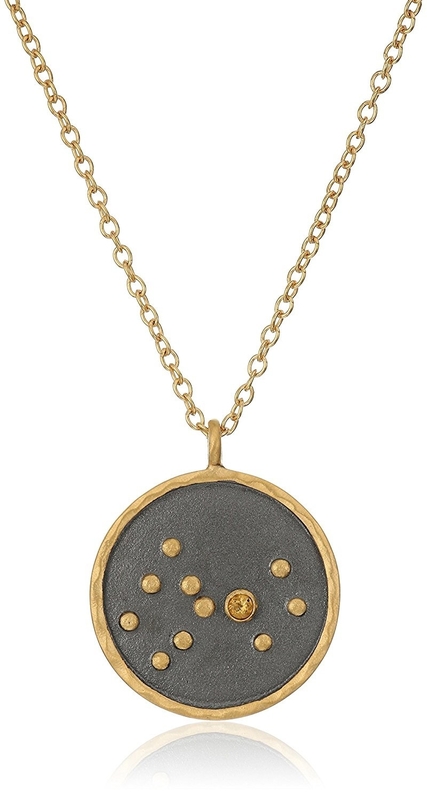 A zodiac constellation necklace they'll love even when Mercury is in retrograde. 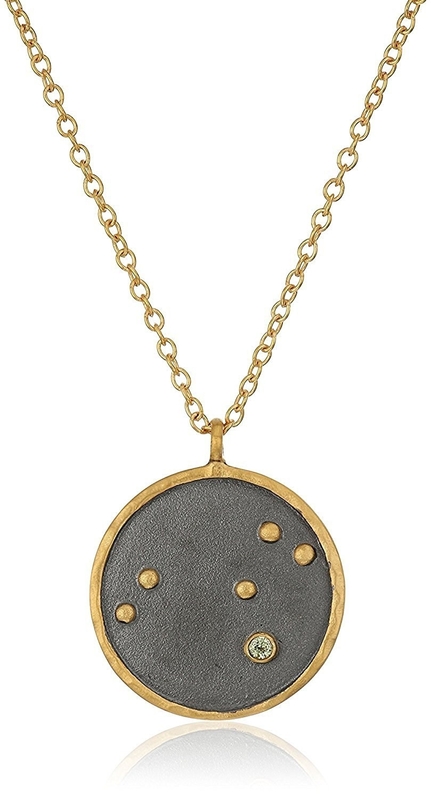 This gold-plated necklace comes on a 18-inch chain with a small gemstone. 23. Die Hard in illustrated book form, because it *is* a Christmas movie, thank you. 24. An octopus ring we have an ink-ling that they might enjoy. 25. A multi-layer feather necklace to give when you're not an early bird when it comes to gift buying. 26. A silk pillowcase so they can say hello to 2018 and goodbye to bedhead. 27. A Golden Snitch fidget spinner for any aspiring Quidditch player. 28. A travel cocktail kit so they can gussy up their airplane bottles on their flight back home after the holidays. 29. A pair of unicorn earbuds that are so cute it's almost magical. 30. Adorable dog socks for the animal lover with perpetually cold feet. 31. A scratch-off world map so they can keep track of their travels. 32. Randomise — a fun party game that's pretty much Pictionary, Taboo, and Charades all balled into one. The game comes with 110 cards. Each player pulls three cards at once and has to draw, act, or describe the phrase created by the cards. 33. A set of element coasters that glow when drinks are placed on them. 34. A dachshund scarf for a pawsome way to stay warm. 35. 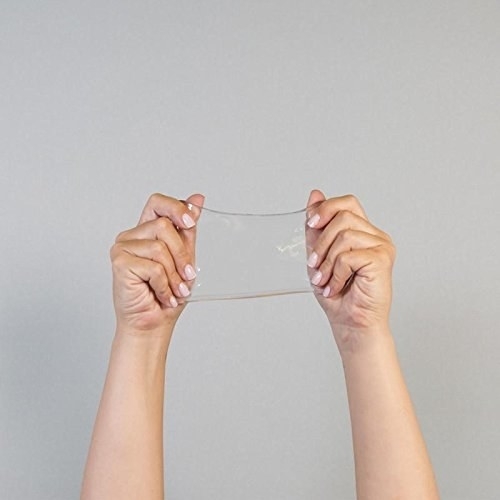 A tin of transparent putty that they won't be able to stop playing with. 36. A fancy hardcover agenda with gold foil to make 2018 the most organized and elegant year yet. The agenda includes January through December 2018. It also has inspirational quotes, a pocket folder, and a floral patterned front page.